Join us for an evening of merriment, sparkle, and cheer to kick-off the holiday season and support the Wellness House! 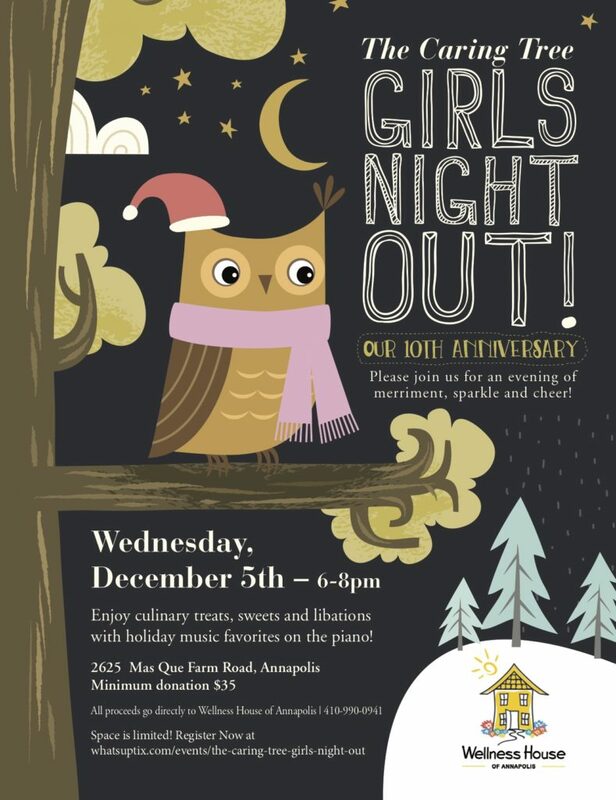 We’ll enjoy culinary treats, sweets, and libations with holiday music favorites on the piano. A minimum donation of $35 is requested for entry. All proceeds will go directly to support the Wellness House of Annapolis. Click here to register & join in the cheer!